Explore the Connection between Land, Sea, & Human Experience at the Sunshine Coast Museum & Archives! The Sunshine Coast Museum & Archives Society is committed to preserving, promoting, and presenting the vibrant and diverse history of the Sunshine Coast. The Sunshine Coast Museum & Archives Society intends to be the best community museum in Canada and the best destination to discover the story of the Sunshine Coast. 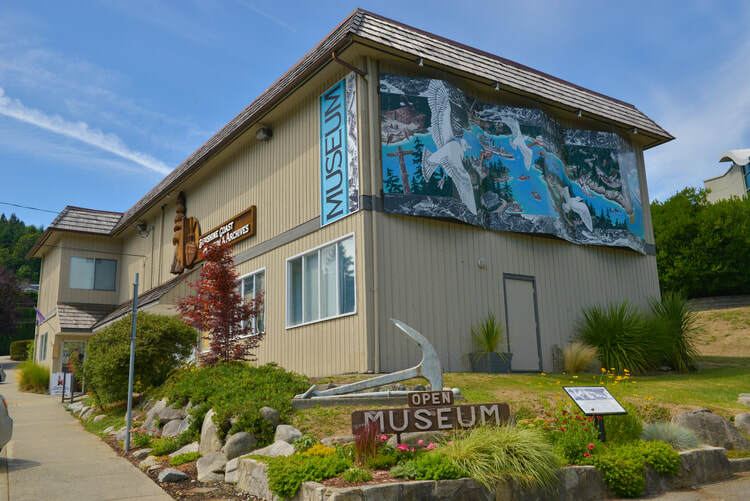 The Sunshine Coast Museum & Archives came into existence as an independent non-profit society on May 29, 2002, with the amalgamation of two museums based in Gibsons--the Elphinstone Pioneer Museum and the Sunshine Coast Maritime Museum. These founding Museums had been collecting and preserving the history of the Sunshine Coast for many years, Elphinstone Pioneer Museum since 1966 and the Maritime Museum since 1989. Their amalgamation created efficiencies in management and fundraising, and their collections were consolidated in one location. Since 2002, we have striven to be an innovative and community-driven heritage destination for the entire region of the Sunshine Coast. At our home at 716 Winn Road in lower Gibsons, we welcome visitors year round, Tuesday through Saturday, from 10:30 a.m. to 4:30 p.m. We provide two floors of exhibits to explore as well as a resource room, reference library, and extensive archives containing more than 9,000 photographs and documents. Our website, sunshinecoastmuseum.ca, offers a virtual portal to our collections and links to an online searchable database of Sunshine Coast newspapers. Our mandate is to reach out energetically to our community so that people of the Sunshine Coast can experience our history through the lens of contemporary awareness. Every year, visiting classes of children enjoy the hands-on history experience of our Museum School program. In 2012, we launched an award-winning free app for smart phones: Time Travel Sunshine Coast allows users to explore historical points of interest on the Sunshine Coast by accessing video vignettes, oral histories and archival photographs relevant to each site. We sponsor special heritage events with large public participation throughout the year, including the George and Charlotte Gibson Day festival in May and historical walking tours of the Gibsons Landing area in the summer months. We have fostered a special working relationship with the Squamish Nation, in whose traditional territory our museum is located, and continue to work with the Sechelt Nation, whose traditional territory is within our geographic collection area. The Sunshine Coast Museum and Archives Society receives support from the Sunshine Coast Regional District, the Town of Gibsons and the District of Sechelt. Many local businesses and individuals contribute sponsorships, donations and volunteer time.